As she looked she saw something almost buried in the newly turned soil. It was something like a ring of rusty iron or brass, and when the robin flew up into a tree near by she put out her hand and picked the ring up. It was more than a ring, however; it was an old key which looked as if it had been buried a long time. 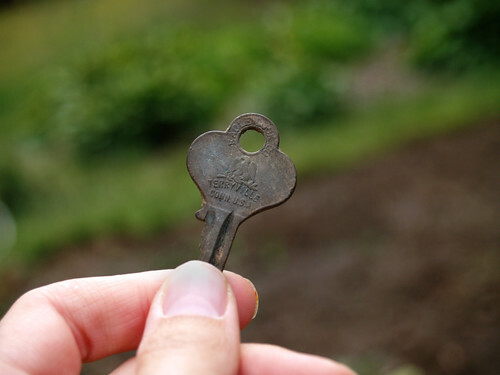 I’d venture to guess this old key has been buried more than 10 years; it was fun to find it while turning the soil for fall plantings.